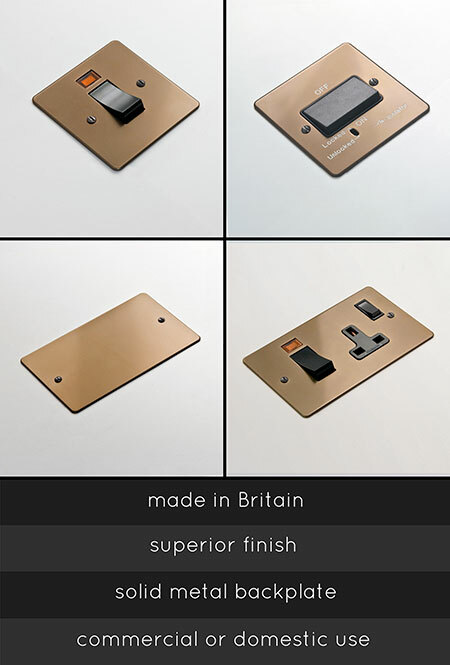 These luxury electrical sockets and switches have solid metal backplates with a bronze finish. This exclusive finish makes a stylish design theme to high quality interior design projects. Within this full range of matching bronze electrical fittings we offer cookers switches, TVs, telephone and satellite sockets, plus data points and fused spurs.